By now you know that preservatives in food are bad for both our health and our taste buds. 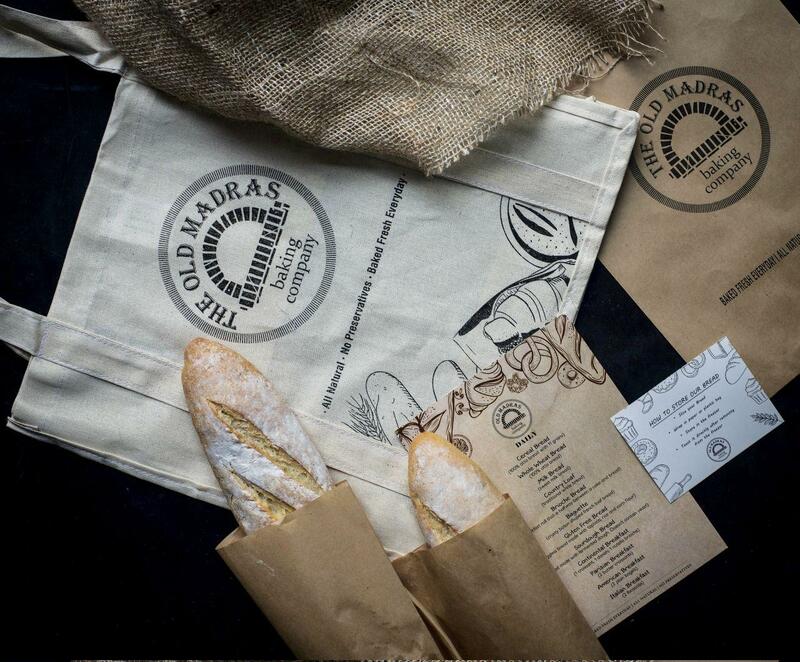 But you still might be buying industrially produced bread from the grocery store because it’s not always convenient to run into one of Old Madras Baking Company’s 7 locations in Chennai. We get it; between dropping off the kids to school and getting to work during peak traffic, free time is hard to come by these days. But we remain passionate in our belief that you and your family should have the option to enjoy fresh, all-natural, preservative-free breads and pastries. Visit https://www.ombc.in/ and click the “Subscribe Now” button on the upper right corner. Choose from an extensive menu with everything from cereal bread and gluten-free bread to croissants and Pav buns (see full menu below). We deliver 7 days a week, and you can opt for delivery once, twice, or thrice a week. Your just-baked breads will arrive between 6am and 9am. We even give you an OMBC tote bag to hang on your front door so we can drop off your order without disturbing you! Your breakfasts and sandwiches will be transformed by using freshly baked, preservative-free bread that will probably get gobbled up before you even have to keep it in the fridge. If you do have extra, slice it, freeze it, and toast it straight from the freezer whenever you like. Being busy doesn’t mean you should have to compromise on the quality of your family’s food. Subscribe now and get Rs.100 off your first month of deliveries using promo code OMBC100!